L’Gros Luxe officially opened its doors to the public this past Friday and I’m not going to beat around the bush, it’s been worth the wait. Located on St. Andre and Roy near Parc Lafontaine, I’ve been walking past the paper-covered windows all winter wondering curiously when they would open and what they might offer as far as ambiance and food. The food was simply amazing. The menu is filled with comfort food favorites like tacos, burgers, fries and poutine and everything from their special sauces to homemade pulled pork is made from scratch. The day before the restaurant’s opening I spoke with Alex Bastide, the restaurant’s owner, and he told me that it was important to him that people coming to have a meal in his restaurant would enjoy quality homemade food, fresh from in-house ingredients. We arrived early on opening night and were warmly welcomed. After a quick scan of the menu I found the burger and ordered it right away while my friend chose the poutine grilled cheese and replaced his fries with poutine; go big or go home, I suppose. The burger was delicious, cooked perfectly with fresh ingredient all on a lightly toasted buttery bun. After just one bite, this burger shot right to the top of my list of favorite burgers in the city. The fries were great too. Good French fries are a very important companion to a good burger. I managed to steal a bite of the poutine grilled cheese and it was also very tasty. L’Gros Luxe also has a selection of great beers and wine, both of which are the best company to a good meal. The restaurant’s retro-rustic bistro décor is simple but well done. The wide front windows are largely unobstructed which allows heaps of light to come in naturally. The restaurant isn’t a large space which makes it feel cozy and comfortable. 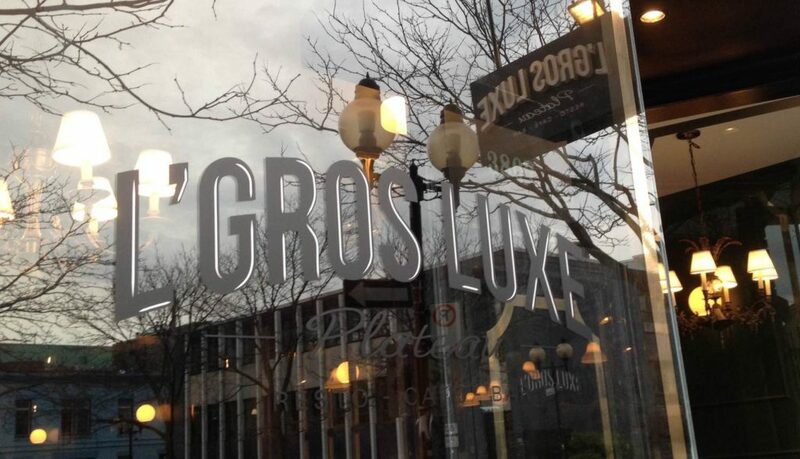 The biggest surprise about L’Gros Luxe is that there isn’t an item on the menu over $7.00. I don’t normally talk about price when it comes to the restaurant experience but having had a high-end quality hamburger for $6.00 it leads me to wonder why I would go and pay three times that price anywhere else for the same thing. 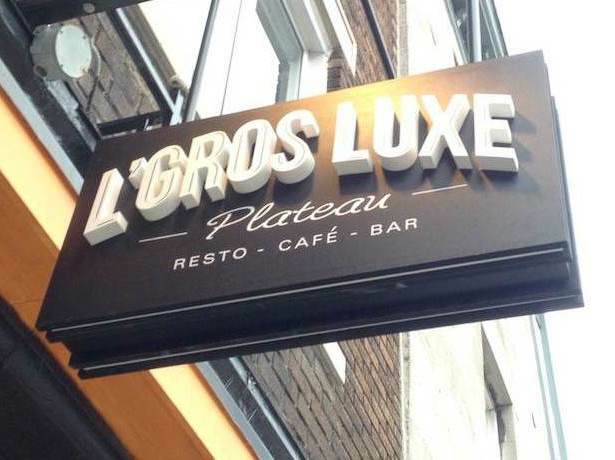 L’Gros Luxe is a great little neighbourhood restaurant that will have no trouble attracting a lot of attention. If you give people in this city good food at a fair price in a relax setting, there’s no end to how successful you can be.